The Modified Transient Plane Source (MTPS) tech nique was developed for measuring the thermal conductivity and thermal effusivity of materials by Mathis Instruments in 2002. The technique has been widely adopted by industry and academia for the speed, versatility and ease-of-operation it offers users in the characterization of a wide range of materials. The sole commercial source for MTPS' sensor technology is C-Therm Technologies Ltd., whom acquired the rights to Mathis Instruments’ intellectual property in early 2007. 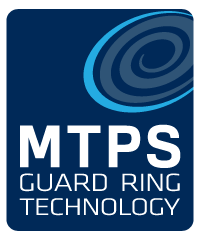 While some companies have attempted to copy the design in recent years, the one-sided testing capability of the MTPS sensors - one of their primary advantages – is only realizable with MTPS patented guard ring technology. Beware of imitation. You're only protected - if you're guarded.